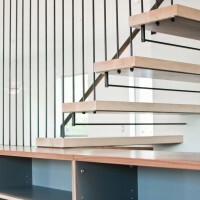 Seattle-based Build LLC have sent us images of an integrated staircase and cabinet they have designed as part of a new home they’ve completed in Seattle. 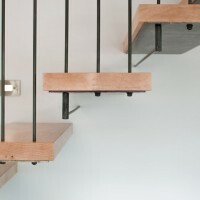 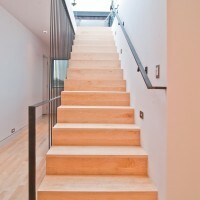 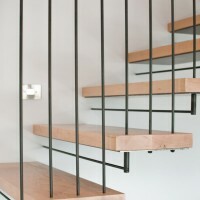 Attenuated steel and solid maple treads are used to create a focal point within the home. 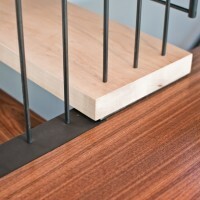 A walnut cabinet base integrates with the stair and becomes the guardrail for the downstairs run. 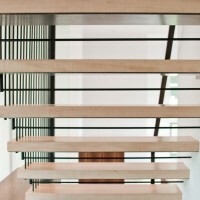 Slender steel verticals above provide a harmonious backdrop to the living room. 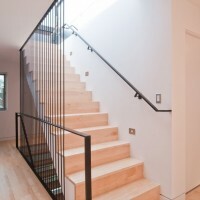 Visit the Build LLC website – here.